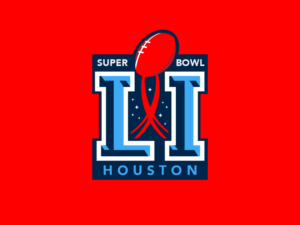 Last year, I talked about my dislike for the decision the NFL made to standardize the Super Bowl logo. I was a big fan of the personality shown in the old logos. 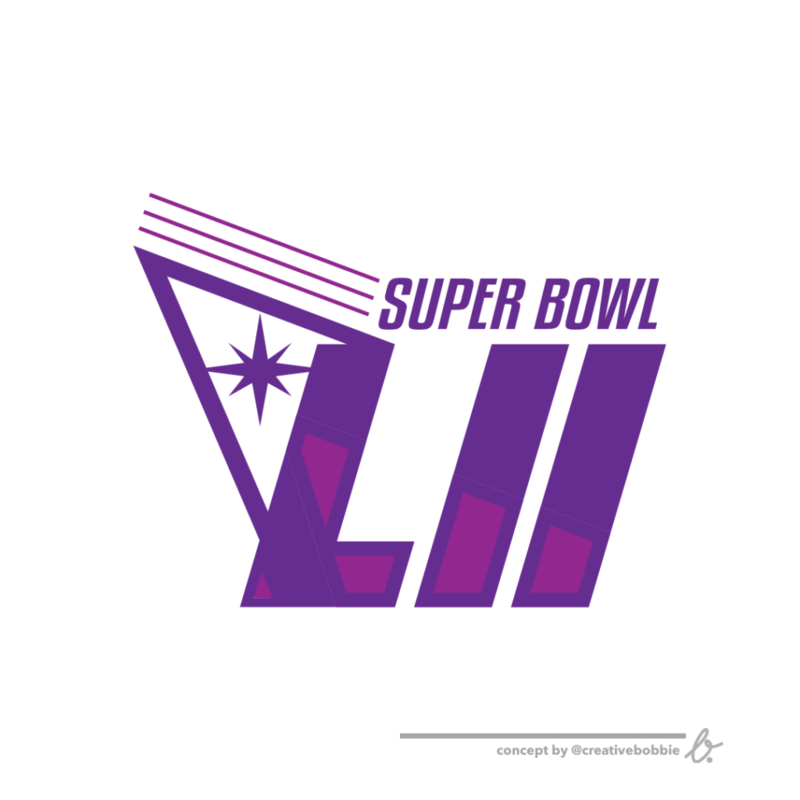 So, I decided to start a design series in anticipation of the then-upcoming Super Bowl 50. 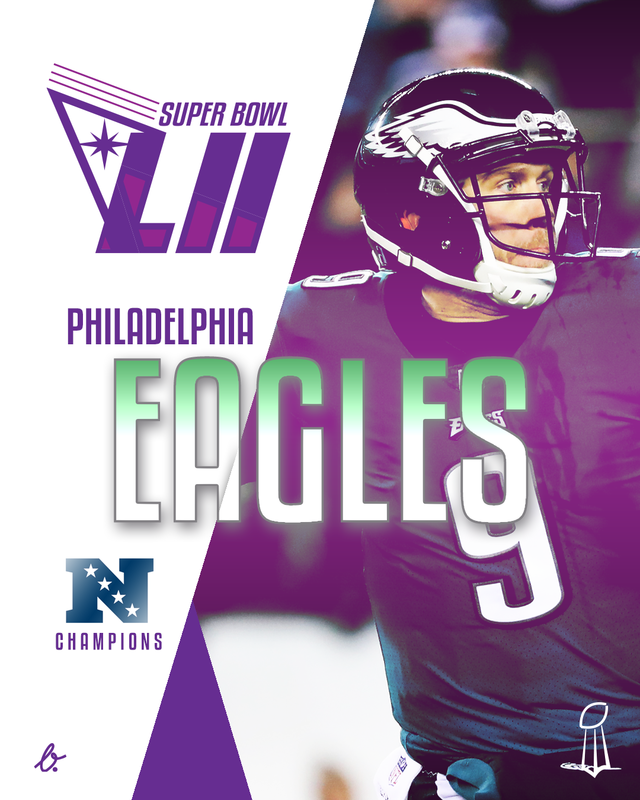 I continued that with my Super Bowl 51 design. 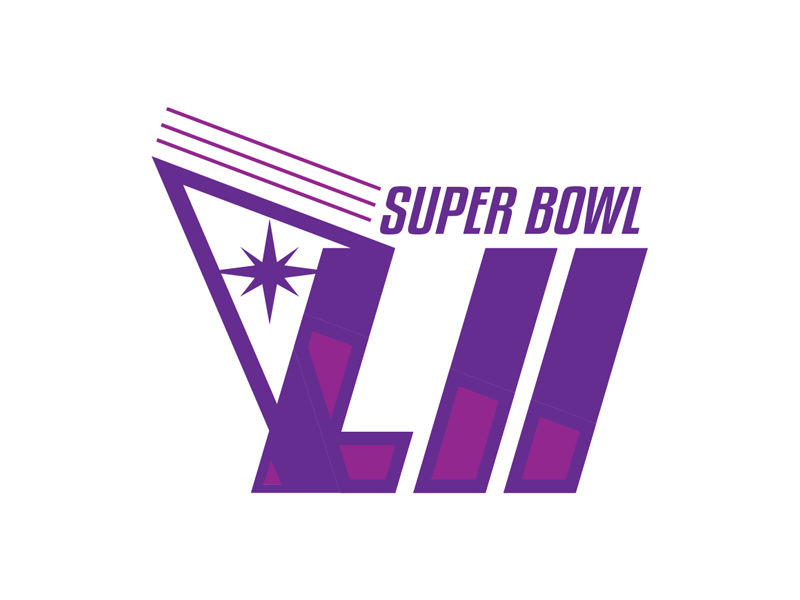 This year, after much struggle and many deleted concepts, I arrived at my version of the Super Bowl 52 logo. 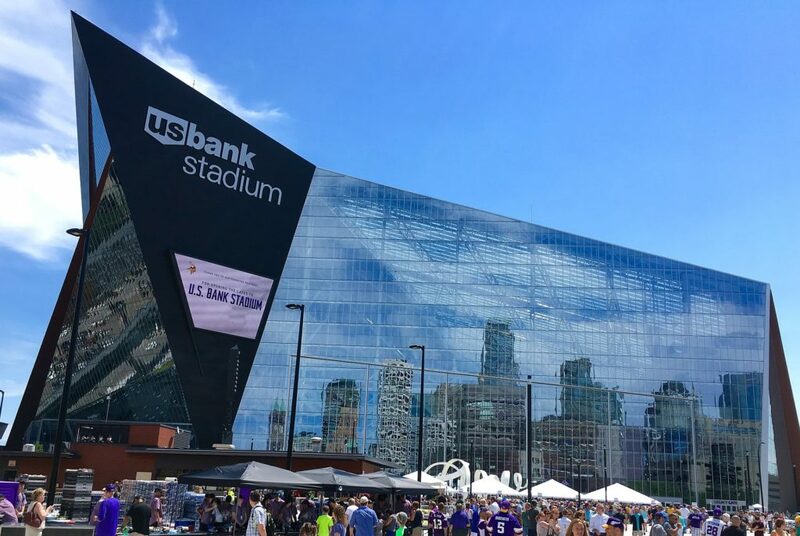 Super Bowl 52 will be held at the U.S. Bank Stadium in Minneapolis, Minnesota. 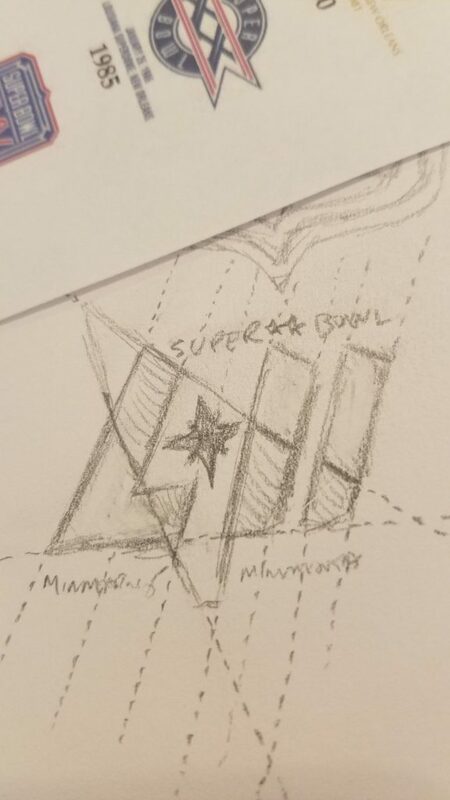 So, the very first thought I had was to try to incorporate the unique shape of the stadium architecture in the logo design. Deciding how to incorporate the shape proved more difficult than anticipated. I mistakenly tried to jump right into Adobe Illustrator and play. After failure and frustration were achieved in vector form, I took a step back and decided to go to pencil and paper. Sometimes you have to just stop and start over instead of trying to force a square peg into a round hole – especially, when you’ve created an obscene amount of layers with no solution in sight. 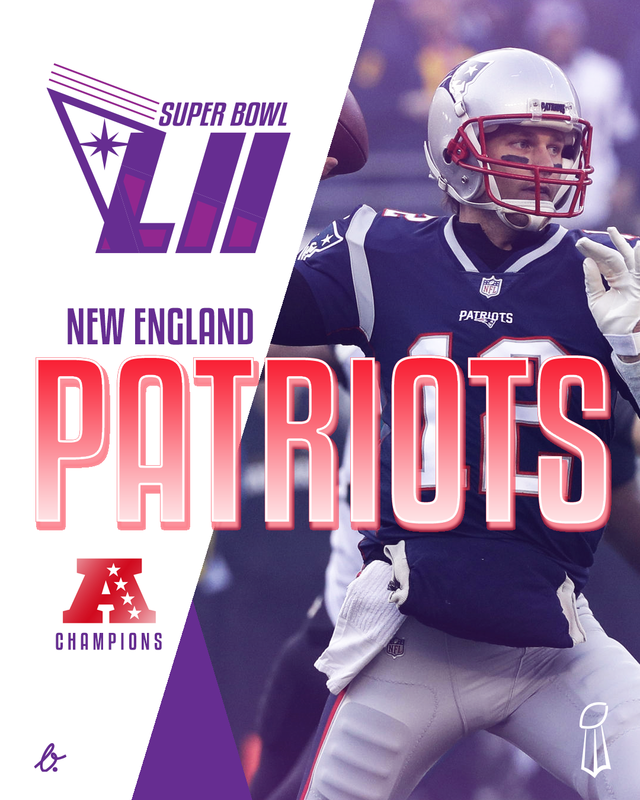 So much failure in vector form. Once I recalibrated and created a new concept on paper, I felt a lot better about the possibilities. In 2018, I’ve pledged to do more pencil and paper work – not just for rough ideas, but drawing full concepts before opening Illustrator. 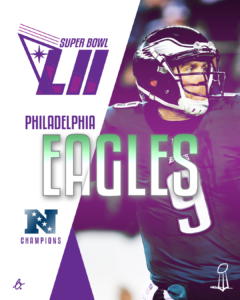 With the Super Bowl 52 concept, I finished my idea and then analyzed it. I drew guides on the drawing, which helped me see how I would want to construct this on the computer. It is important to determine as much as possible before opening Illustrator. The drawing, with guides for construction, proportions, and angles, helped give me clarity before assembling the vectors. 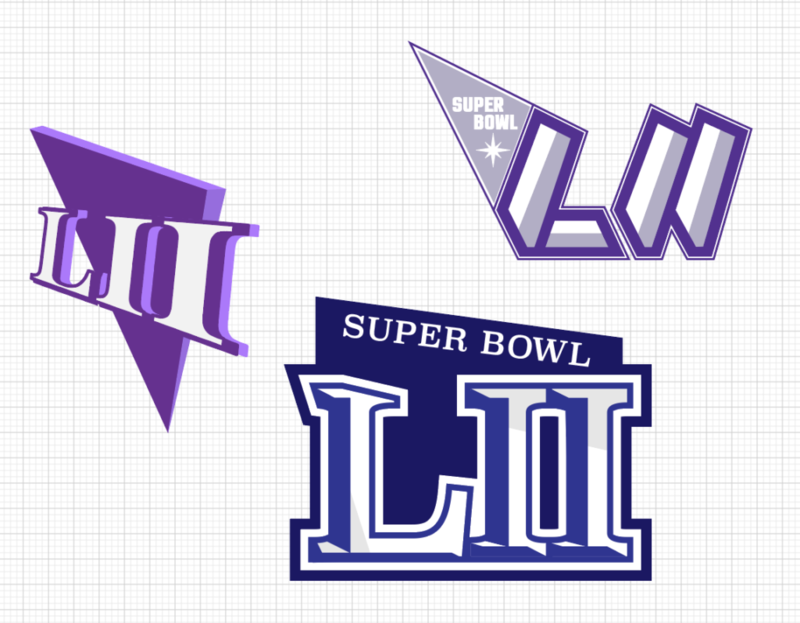 The hardest part of designing these Super Bowl logos – actually, logos in general – is achieving something I feel like could even stand in the same room as those that have come before. I’m not comparing myself to other designers, positively or negatively. It’s about the work. It’s about creating something that has a worthwhile polish that will appreciated and accomplish the goal. 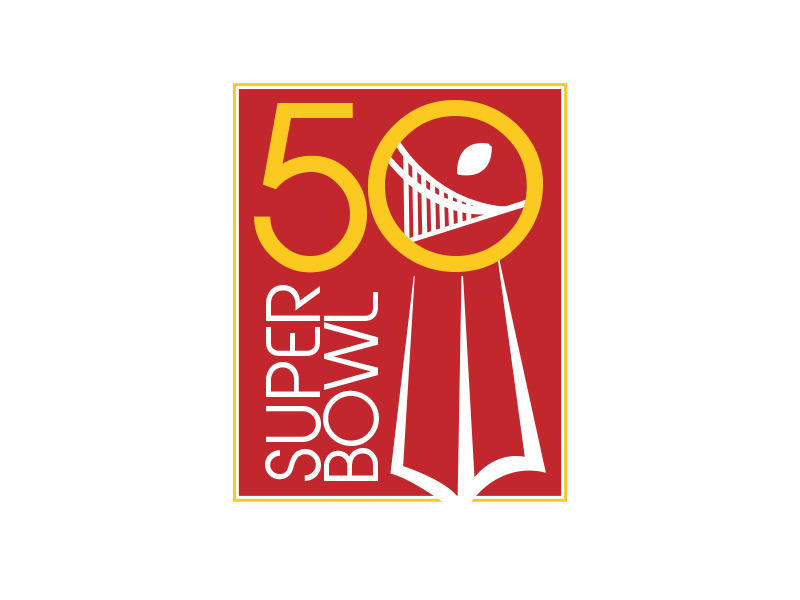 I was constantly looking at the Super Bowl logos that have come before, while reviewing what I had done for 52. I arrived at something I felt comfortable enough showing to the public. I love logos. I love sports. The results from the intersection of these two passions usually makes me very happy. 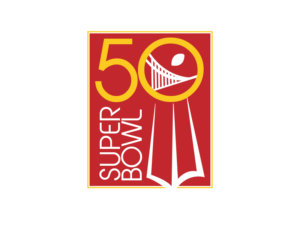 In particular, I loved the Super Bowl logos of the past that gave each year’s game a particular personality and mark. 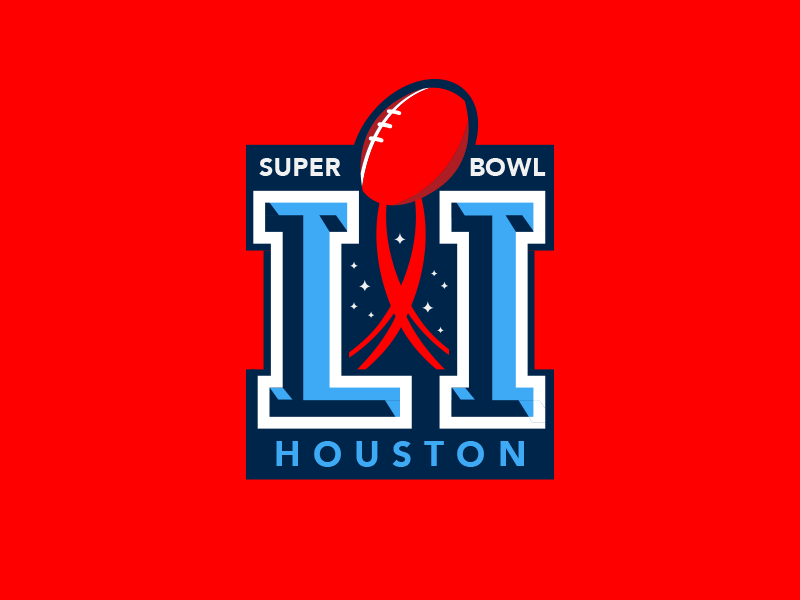 Starting with Super Bowl XLV (2011), the NFL decided to standardize the Super Bowl game logo so that only certain elements changed.